The arrival of two newcomers in the quiet village of Mellstock arouses a bitter feud and leaves a convoluted love affair in its wake. While the Reverend Maybold creates a furore among the village's musicians with his decision to abolish the church's traditional 'string choir' and replace it with a modern mechanical organ, the new schoolteacher, Fancy Day, causes an upheaval of a more romantic nature, winning the hearts of three very different men - a local farmer, a church musician and Maybold himself. 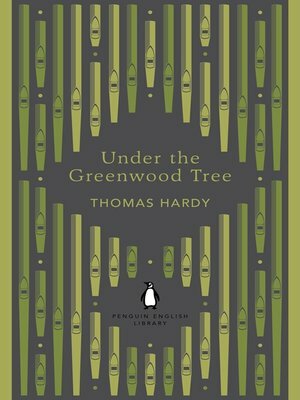 Under the Greenwood Tree follows the ensuing maze of intrigue and passion with gentle humour and sympathy, deftly evoking the richness of village life, yet tinged with melancholy for a rural world that Hardy saw fast disappearing.